Hawthorne, CA: AEM has released two flex-fuel ethanol-content sensor kits, one with 3/8″ barbed adapter fittings (# 30-2200) the other with -6AN to 3/8″ adapter fittings (#30-2201). Not only do they measure a vehicle’s fuel-ethanol content percentage and fuel temperature but also users with programmable engine-management systems capable of flex-fuel tuning have the ability to accurately calibrate the engine’s fuel-ethanol content. While many gas stations label flex fuel as E85 (85% Ethanol and 15% Gasoline), the actual ethanol content can vary widely. 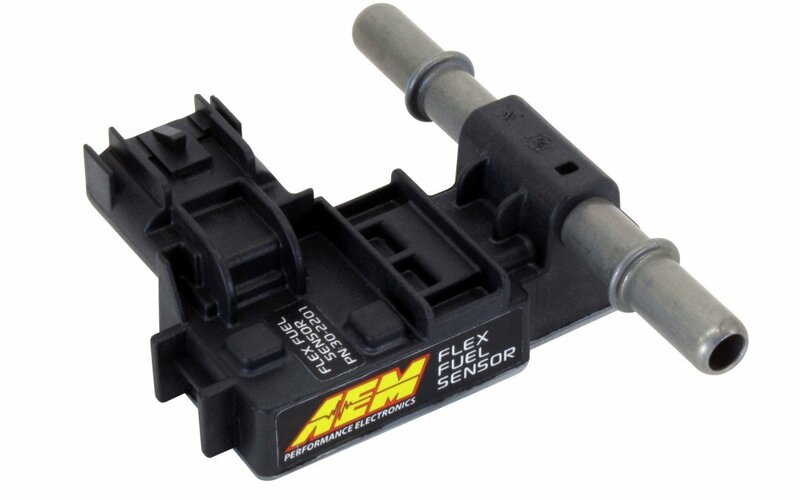 AEM’s new sensor determines the amount of fuel blend being used at any given time. 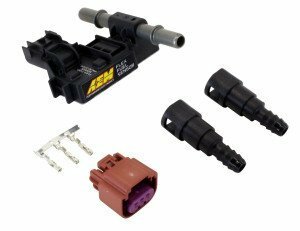 Furthermore, the sensor is ideal for use with AEM’s Infinity standalone programmable ECU and Series 2 EMS on flex-fuel-equipped vehicles. Alternatively, it can be connected to a dash display or data logger. For application information and to find or become a factory-trained Infinity EMS Tuner, call (310) 484-2322.